I over-ordered a bit this Christmas - gosh it's so hard to get it right - which is bad news for me, but good news for you, as it means I have quite a pile of surplus stock, especially festive things. And I hope this goes without saying - I do hope Cottontails Baby is a trusted toy shop by now! - but obviously a Cottontails sale is full of real, proper reductions - I don't buy in stock just to put into a sale, I don't inflate prices to then reduce them or any of those kinds of shenanigans. Heaven forbid! 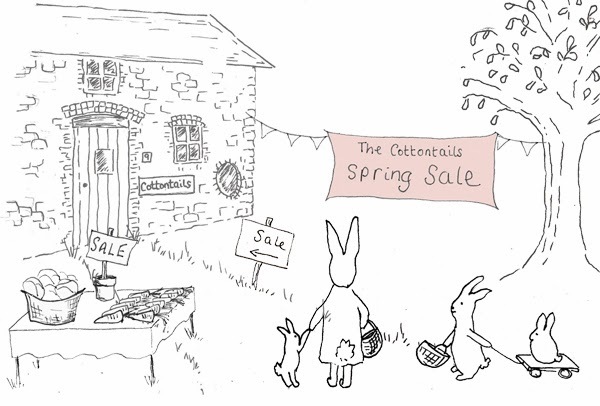 And as I always say, Cottontails is a small shop so I don't have vast quantities of anything. Often just one or two items... so don't dawdle if you see something you like, as there is a very real chance that it might be gone next time you look.